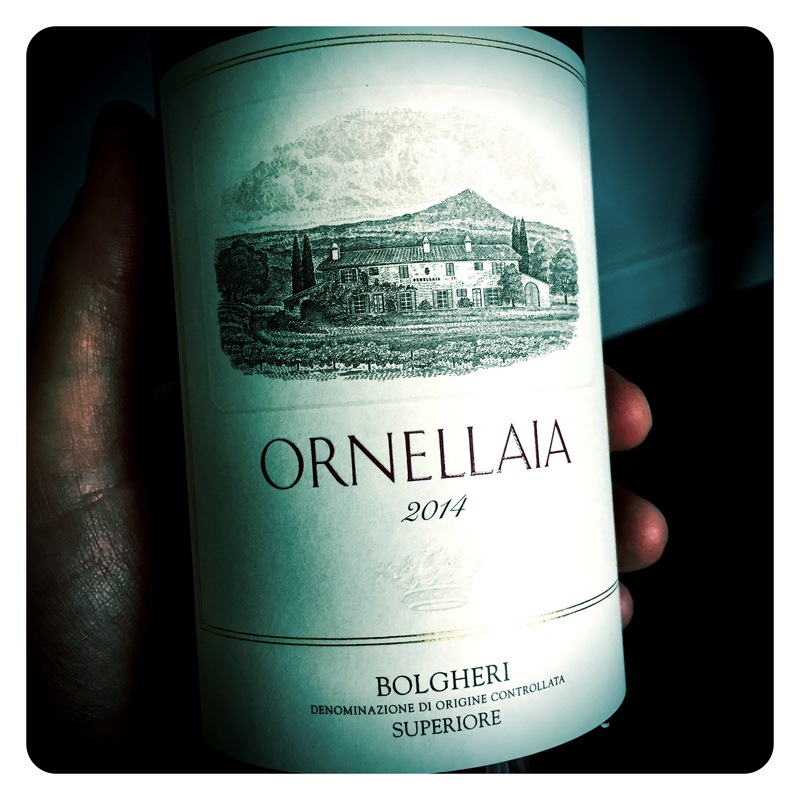 I recently had an incredibly interesting tasting Masterclass with Ornellaia winemaker Axel Heinz as he launched the new bottled release of their Bolgheri red blend 2014 in the UK. 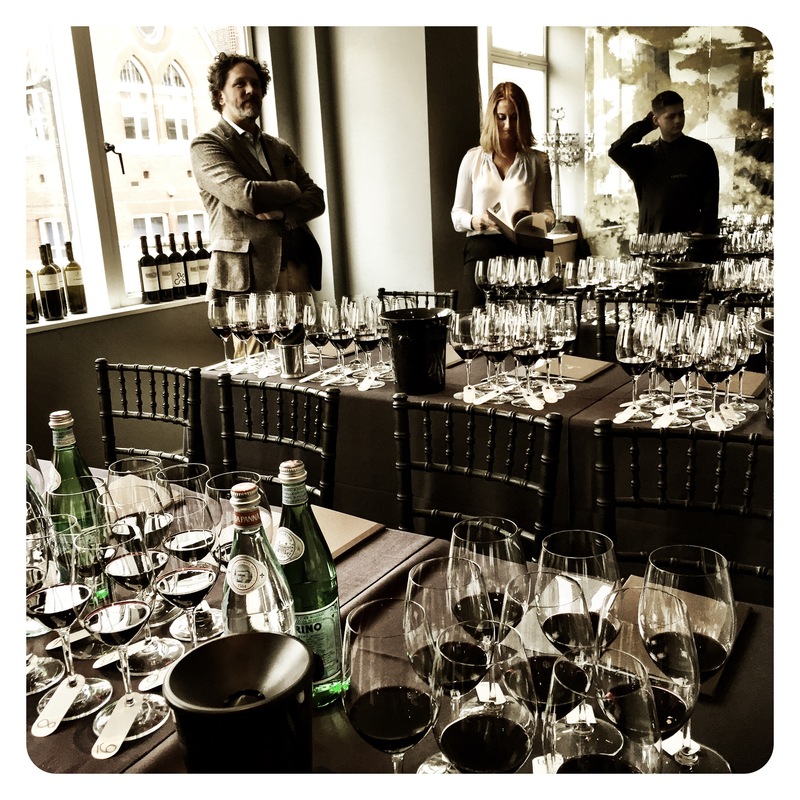 The tasting took the format of a deconstruction component tasting Masterclass for barrel samples from the upcoming 2015 vintage. 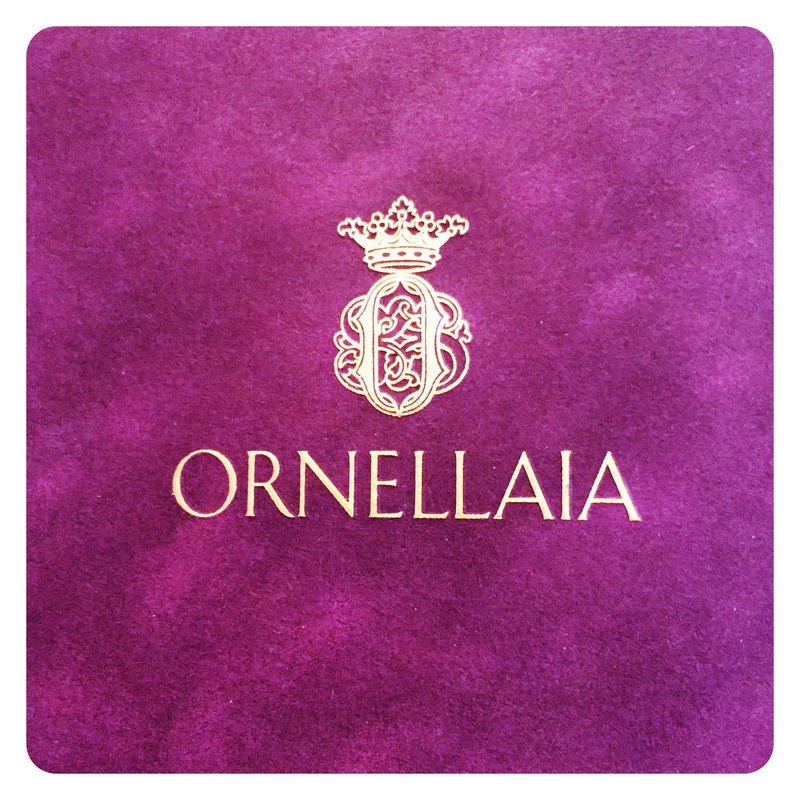 The point of the tasting was not specifically to explain the 2014 vintage per se, but to illustrate the analysis, tasting, micro-vinifications, and terroir analysis that goes into the construction of the Ornellaia flagship blend every year. 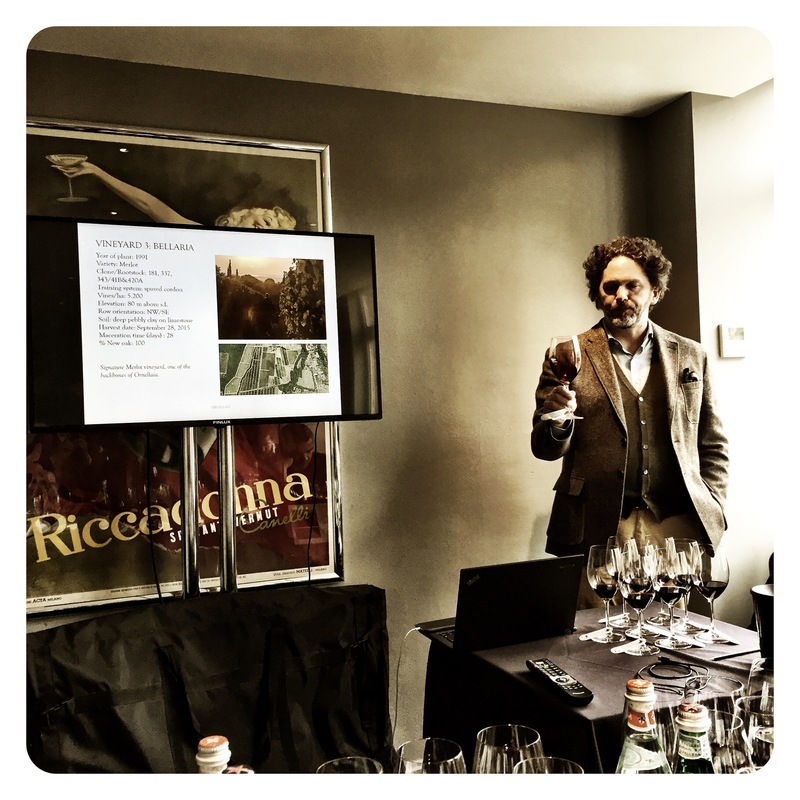 We tasted nine Cabernet Sauvignon, Cabernet Franc and Merlot single varietal vinifications that illustrate the jigsaw of terroirs that are analysed to create the perfect completed wine jigsaw within any given vintage. Fascinating. 2014 was considered a very challenging vintage with a warm and wet winter followed by a mild and dry spring, allowing for normal vegetative growth with punctual and regular flowering. Perfect July weather was followed by a cold and rainy August, creating very difficult conditions for ripening and greatly increasing the risk of vineyard diseases. Meticulous work in the vineyards was required to keep the canopy and fruit healthy. But this work was rewarded with two successive months of mostly dry, sunny weather creating excellent conditions for ripening. It was at harvest time that the intricate analysis of various plots really came into its own. The result was one of the longest, most delayed harvests on record ending on the 22nd October. 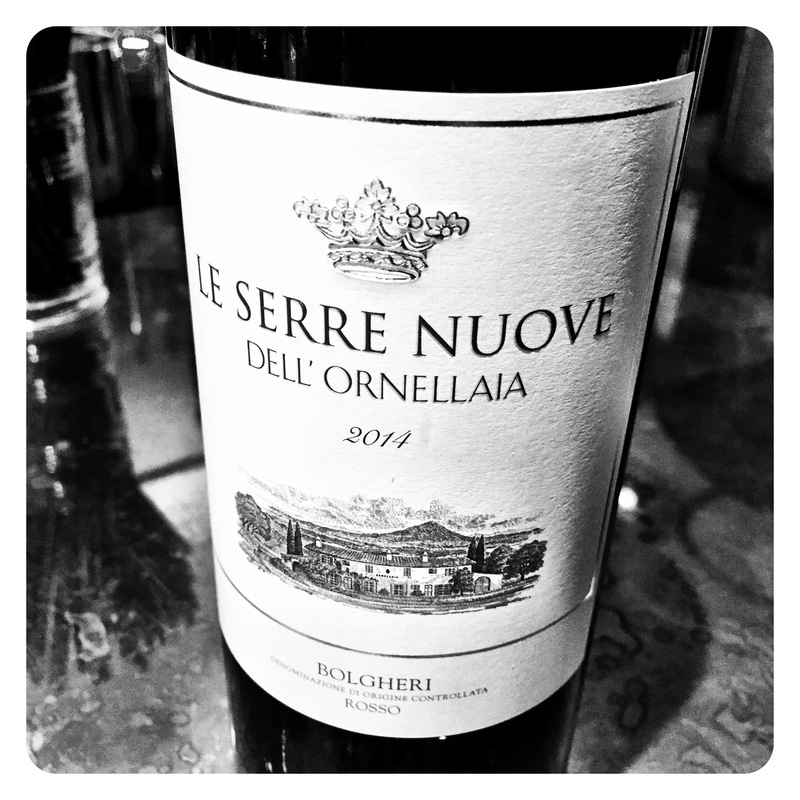 Having already tasted and scored most of the Bolgheri 2014s, it was with great anticipation that I finally got to taste both the Ornellaia 2014 and the Le Serre Nuove 2014. 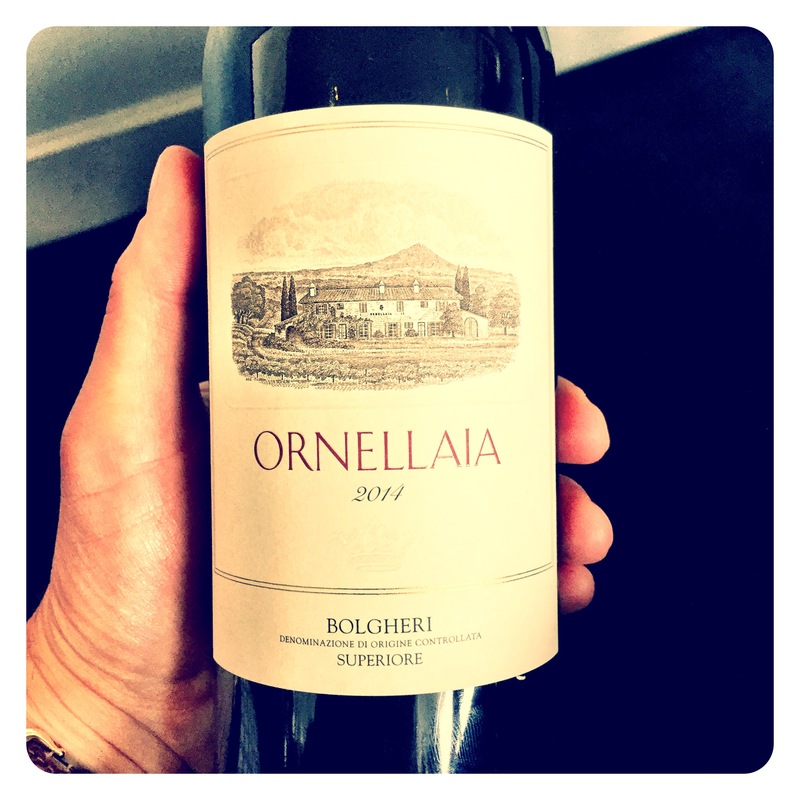 This is a very impressive expression of Ornellaia, blended from 34% Cabernet Sauvignon, 32% Merlot, 14% Cabernet Franc, 20% Petit Verdot. 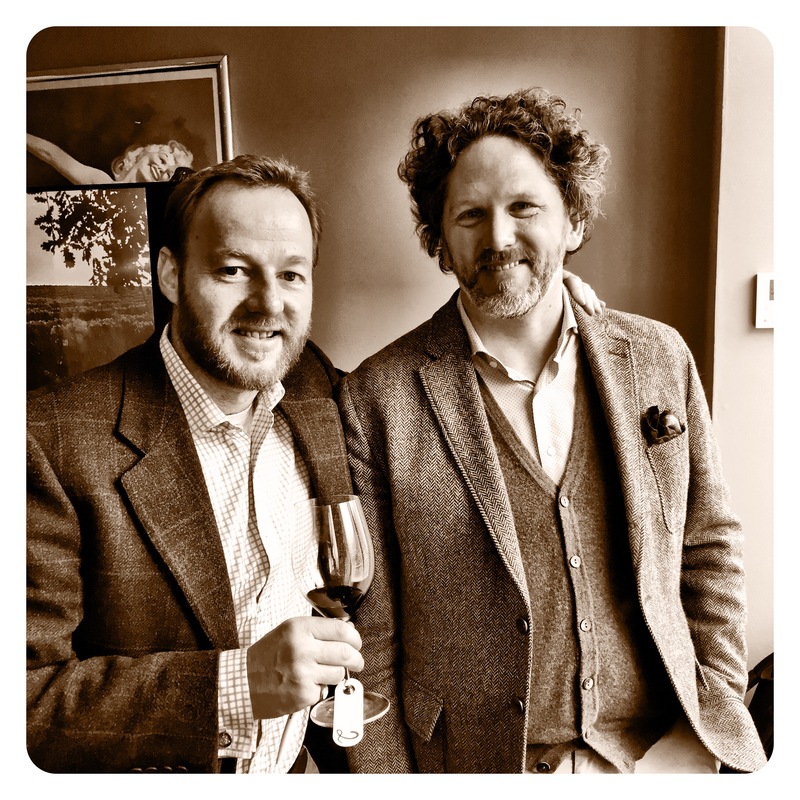 Born out of a very difficult vintage, winemaker Axel Heinz has exceeded expectations producing a rich, opulent, yet classically proportioned wine that overflows with black berry fruits, cherry, liquorice stick, damson plums, bramble fruits and dusty graphite notes. The palate is bright and pure with a real sense of textural precision. There is wonderful cut and freshness, but also superb black and blue berry fruit intensity and linear, mineral definition. This wine is the ultimate surprise package. With 20% (instead of the usual 4-5%) of late ripening Petit Verdot in the blend, you’d expect this vintage to feel a little different. It is a true testament to the obsessive commitment winemaker Axel Heinz has committed to this challenging vintage. Drink from 2020 to 2040.